This month has seen another large scale barn redevelopment on behalf of a developer, this time in Hampshire hot on the heels of the work undertaken for another developer on a complex of eight listed timber framed barns in Trumpington, Cambridgeshire. Work has started in earnest on the King Street, Covent Garden redevelopment where we have expanded our portfolio of specialist services to include acoustic performance. We also had the pleasure of returning to Earlham Hall, the law faculty at UEA for detailed timber condition investigations after 4 years. Our involvement in the Covent Garden area continues to grow with approval given to start a wide range of investigations on the buildings recently housing the Sanctuary, notorious for the old cinematic scene of a naked Joan Collins on a swing over the pool complex! We have also been appointed to undertake one of our biggest commissions to date covering the largescale redevelopment of the Grade I listed 20 Hanover Square and a swathe of New Bond Street and Brook Street. British Land Have appointed us to undertake timber condition investigations of the largest remaining undeveloped area of Spitalfields, an area first assessed by H+R in 1978! In the past, H+R have undertaken timber condition investigations of the Spitalfields Market roof. 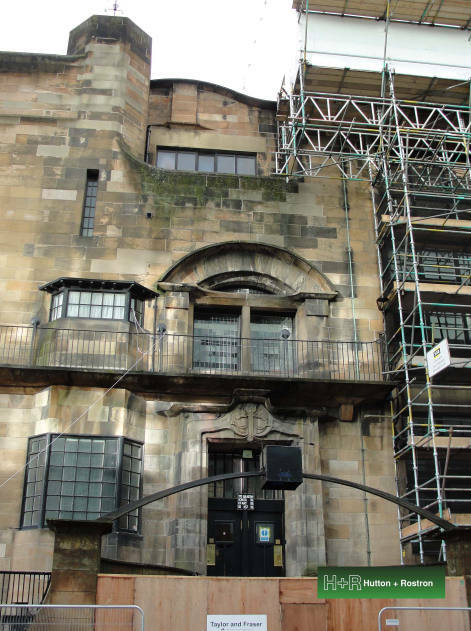 With the recent appointment of Page and Park as Architects for the restoration of Glasgow School of Art, we look forward to continuing to provide our expertise in assessing timber condition and the managed drying down of the historic structures subject to fire and flood. We are very proud to have been a part of the St George’s Chapel project in Great Yarmouth which was recently included in the list of winners of the 2015 Civic Trust Awards. The awards are given to projects that make an outstanding contribution to the quality and appearance of the environment.